READY TO WEAR VINTAGE - OUR GARMENTS ARE CLEANED BY EXPENSIVE VINTAGE SPECIALISTS, WRAPPED IN TISSUE SO THEY DO NOT WRINKLE . OUR STORE PROVIDES A NEW APPROACH TO THE WAY YOU RECEIVE YOUR COLLECTIBLE VINTAGE GARMENTS. Rare and hard to find! So cool that I might keep it!!! 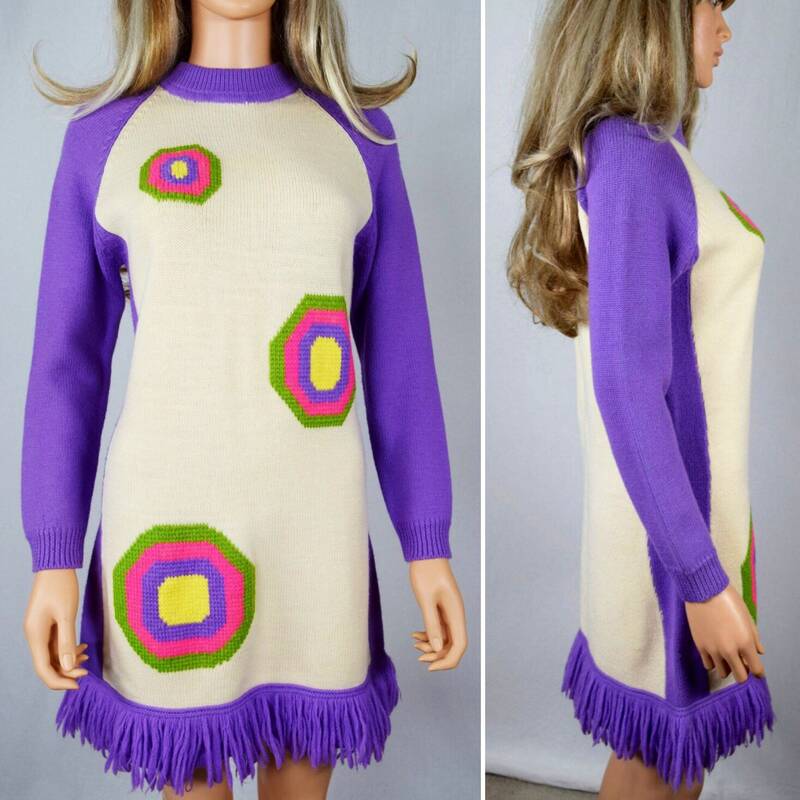 Ultra mod sweater dress in ivory and purple with a neon op art pattern. 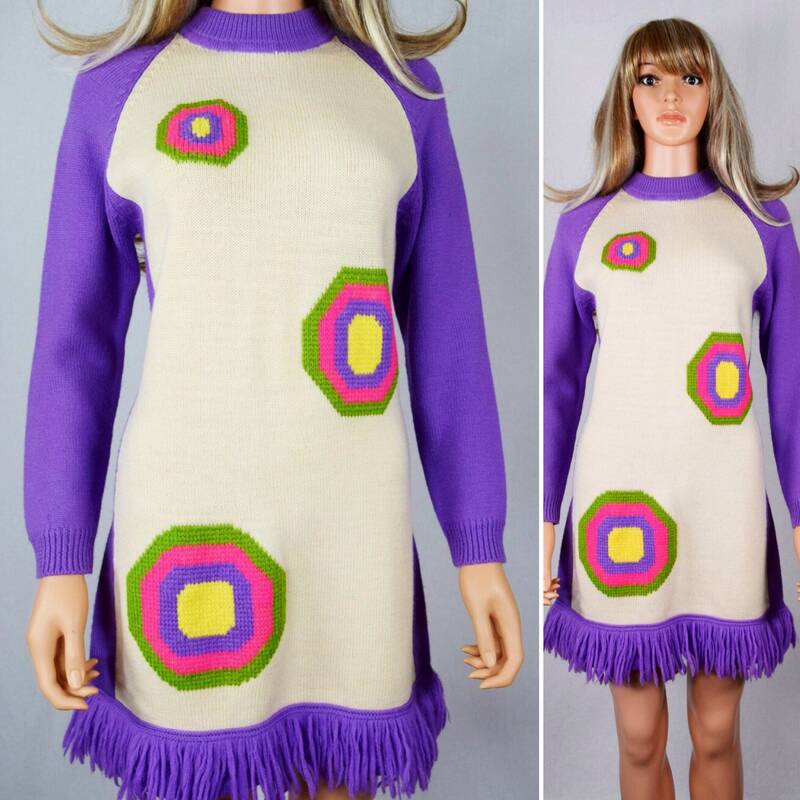 Brand: Joyce - great brand and one of my favorites! 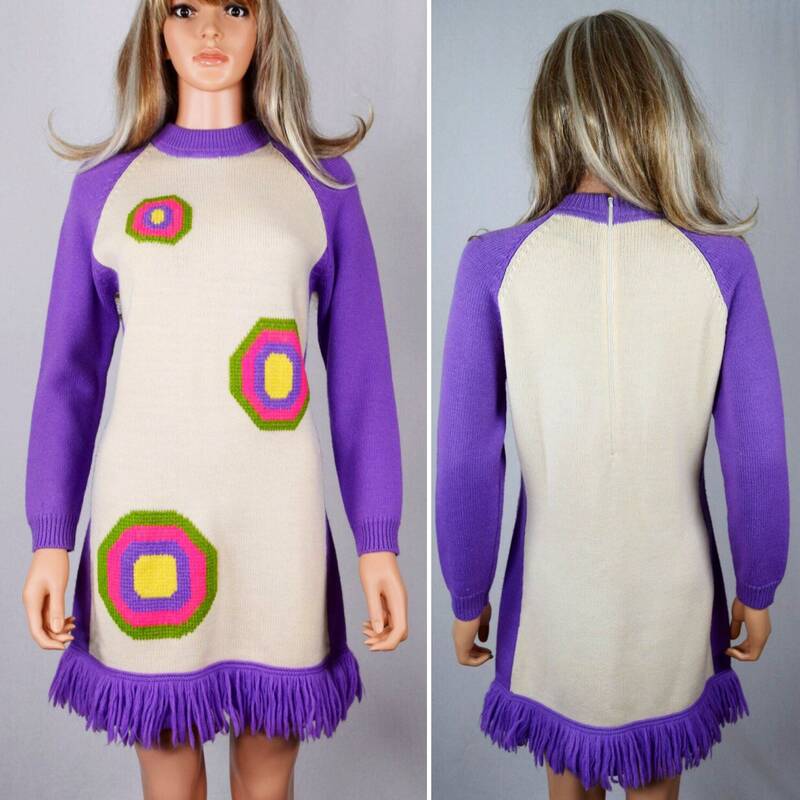 Fabric: 100% virgin Wool - very soft. Professionally cleaned by expensive vintage specialists. **Fellow Sellers: Do not copy paste my titles or anything from my listings. I will report you and have your listing shut down.